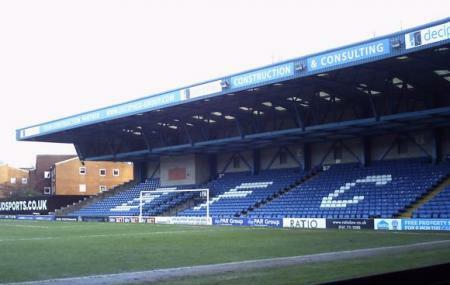 The Gigg Lane Stadium is also referred to as the Energy Check Stadium and is basically an all-seater stadium that was constructed in the year 1885. The stadium can accommodate approximately 11,840 people and has plans of expanding so as to accommodate more people. The stadium is home to Shakers-Bury FC and even the stand that consists of blue and white seats spells out SHAKERS. The staff members here are very friendly and the stadium is very well-maintained making it the ideal place to catch a lively football match when you are visiting Bury. Love this place. One of the best away grounds there is. £3 a pint in the Sports Bar and good views and legroom in the away end. Decent facilities in the ground as well and friendly stewards and the Bury fans are one of the nicest I've met. Beautiful! Gorgeous stadium, superb team - really entertaining. Pithy and knowledgeable fans with an incredibly good sense of humour. Up the shakers!